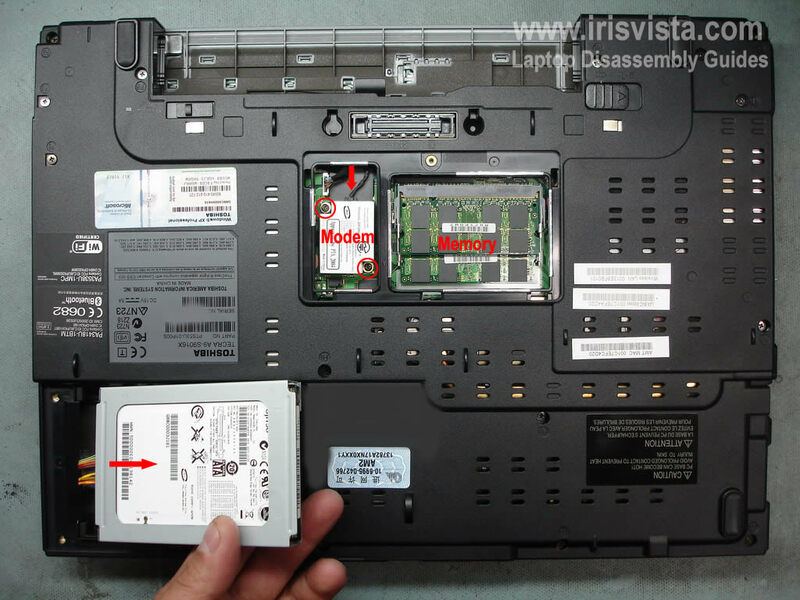 Remove memory and modem cover. 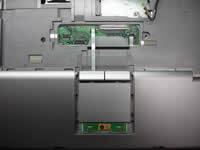 Lift up the hard drive and carefully disconnect the cable on the left side. 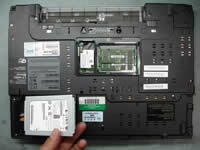 Remove two screws securing the modem card. 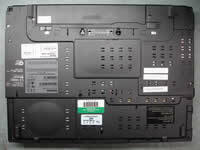 Lift up the modem and disconnect the cable. 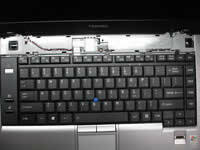 Lift up the keyboard and turn it over. 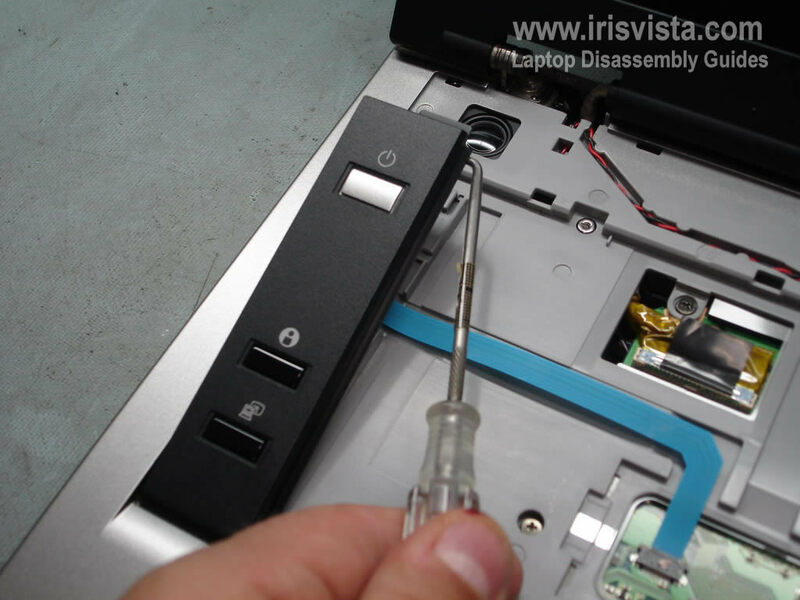 Remove one screw securing the keyboard connector cover. 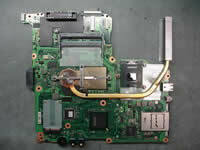 Open up the keyboard connector on the motherboard. 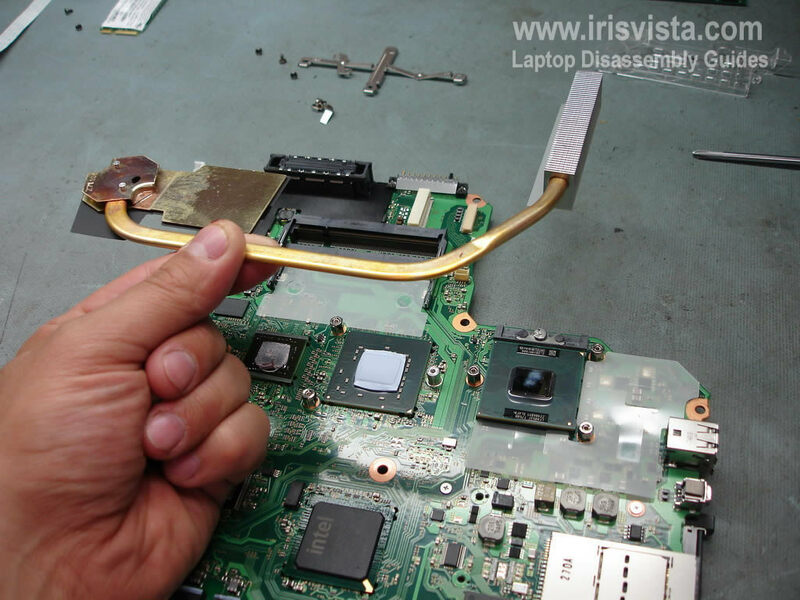 Be careful, if you break the connector you'll have to replace the motherboard. 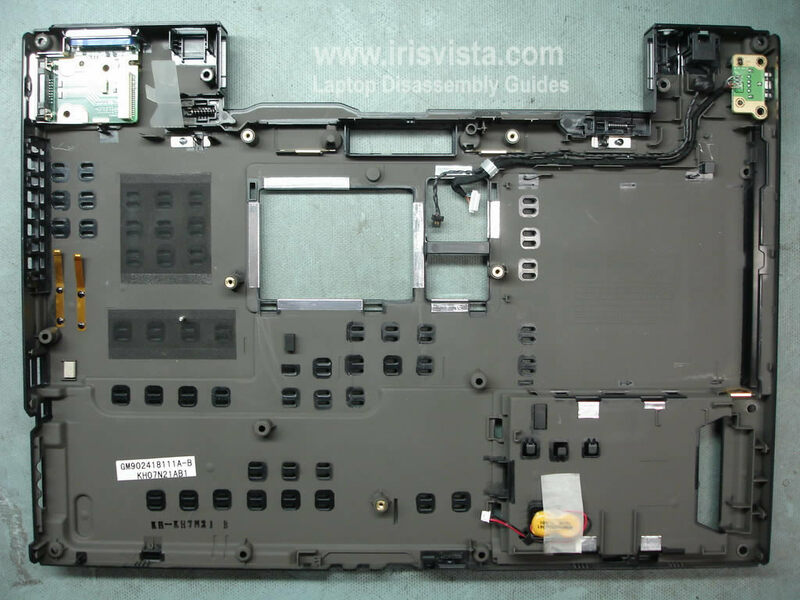 Pull the keyboard cable and remove the keyboard. 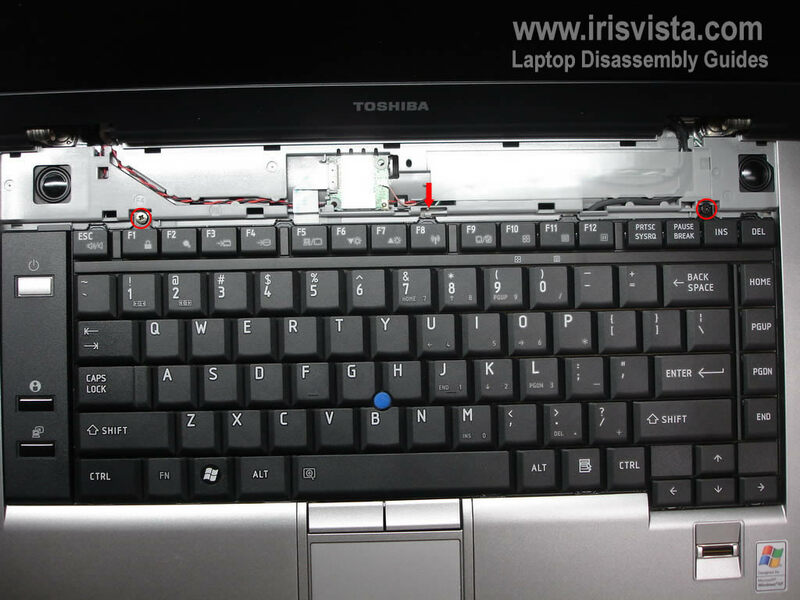 If you replacing the keyboard, simply follow steps 4-7. 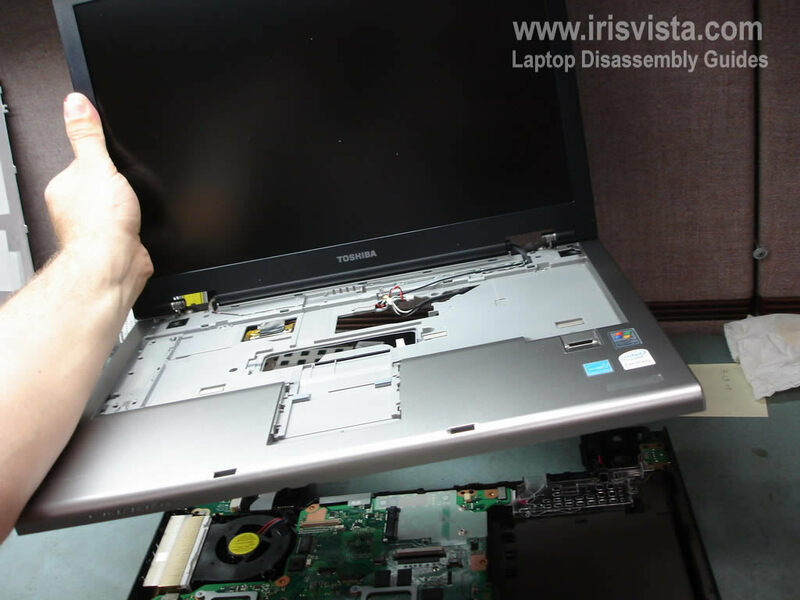 You don't have to remove screws from the bottom of the laptop. 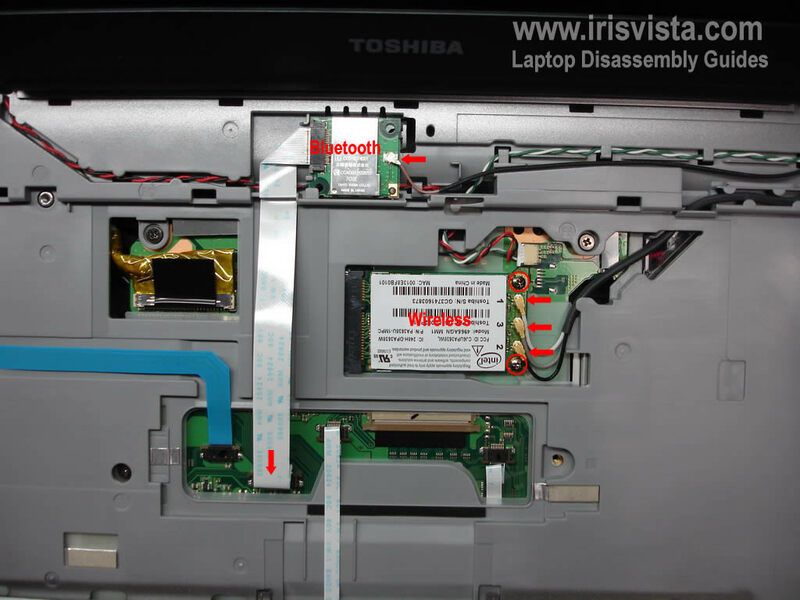 Disconnect the Bluetooth card cable from the motherboard and unplug the brown antenna cable from the card. 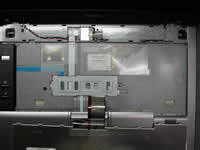 Release the Bluethooth card and remove it. 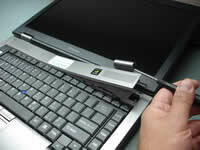 Unplug three antenna cables from the wireless card. 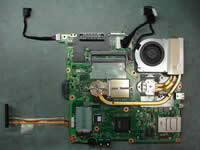 Remove two screws securign the wireless card and remove the card. 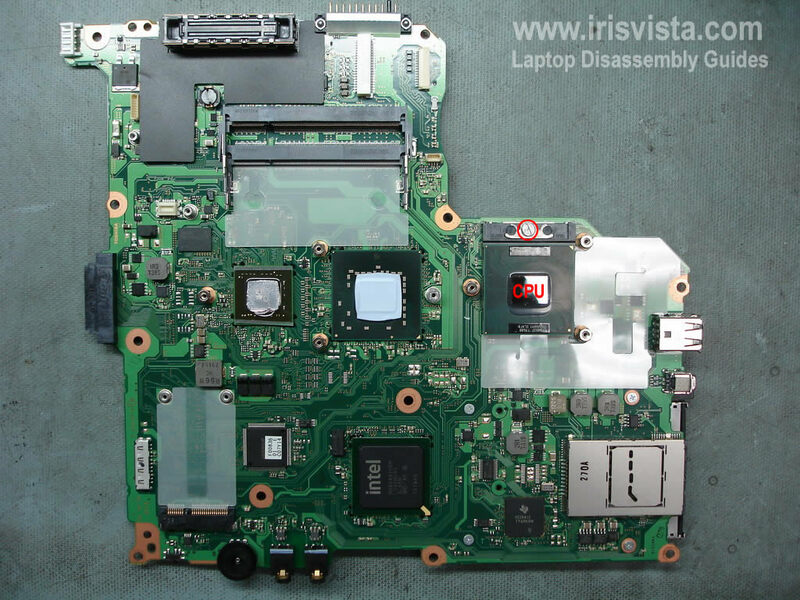 Remove the power button board cover. 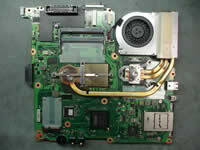 Unplug the power button board cable from the motherboard. 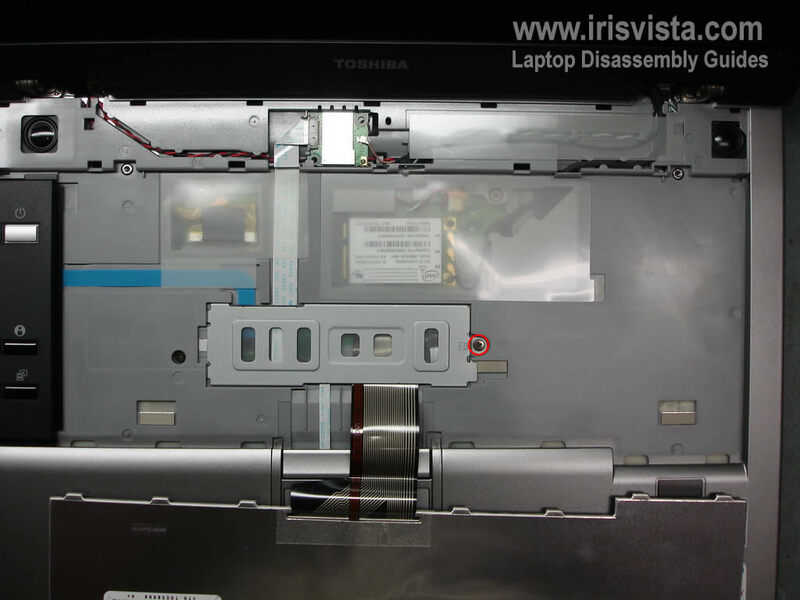 Press on the lock and slide the power button board down. 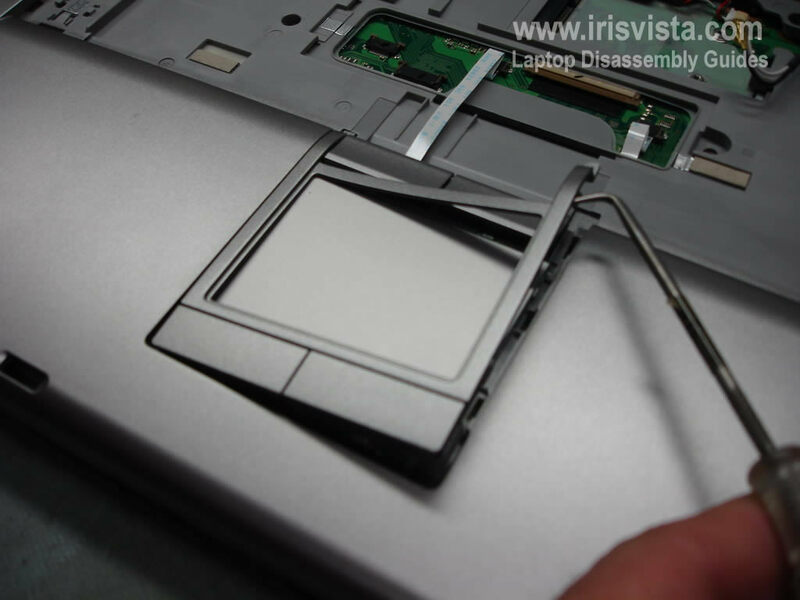 Carefully remove the touch pad cover. 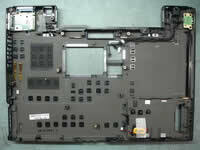 Remove one screw securing the touch pad assembly. 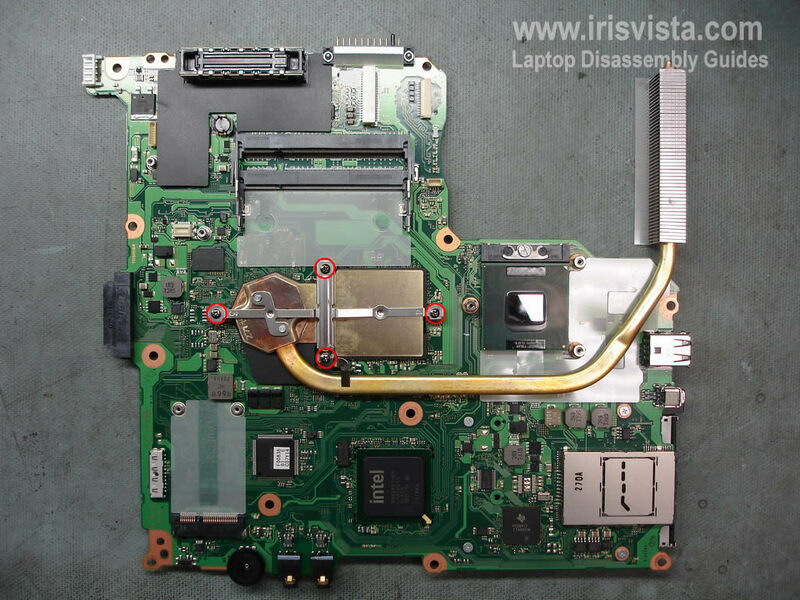 Disconnet the touch pad cable from the motherboard. 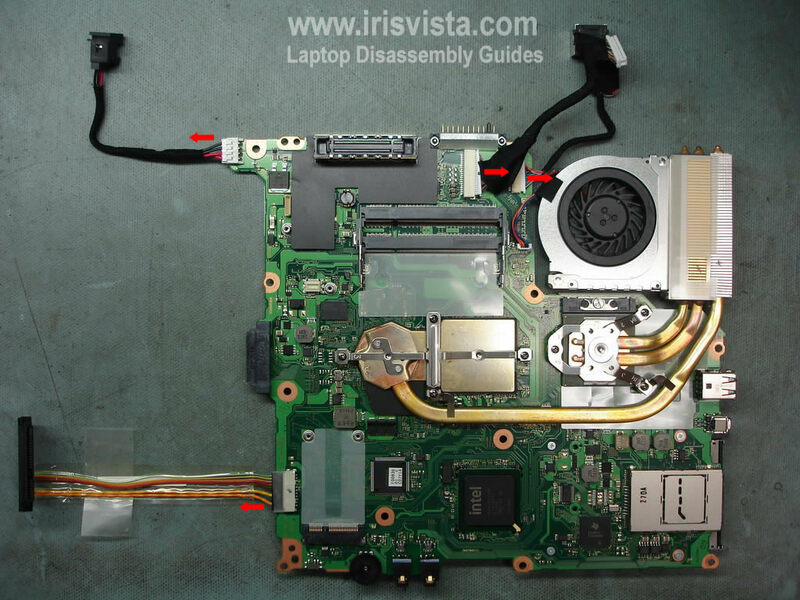 Disconnect speaker cable from the motherboard. Push the DVD from the laptop with a screwdriver. 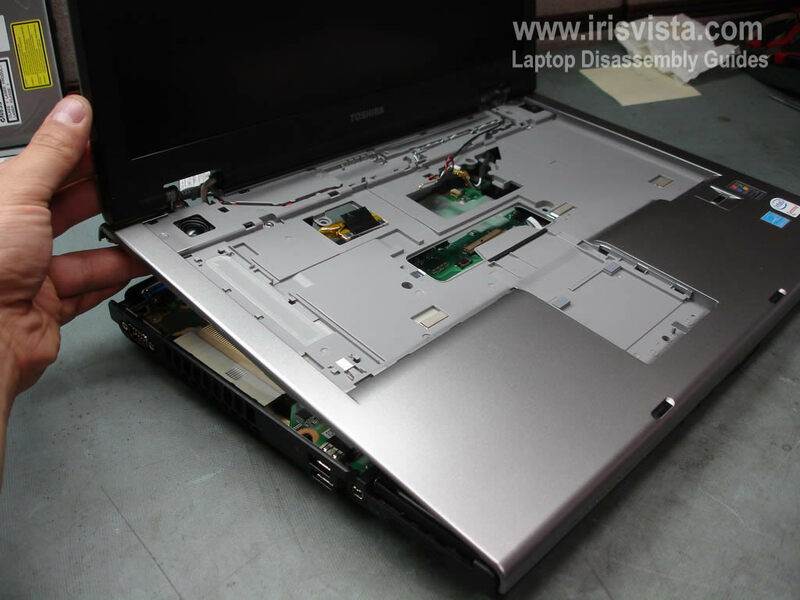 Remove DVD drvie. 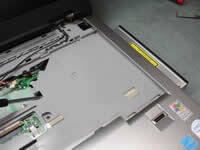 The DVD drive is secured by two screws. 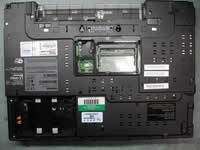 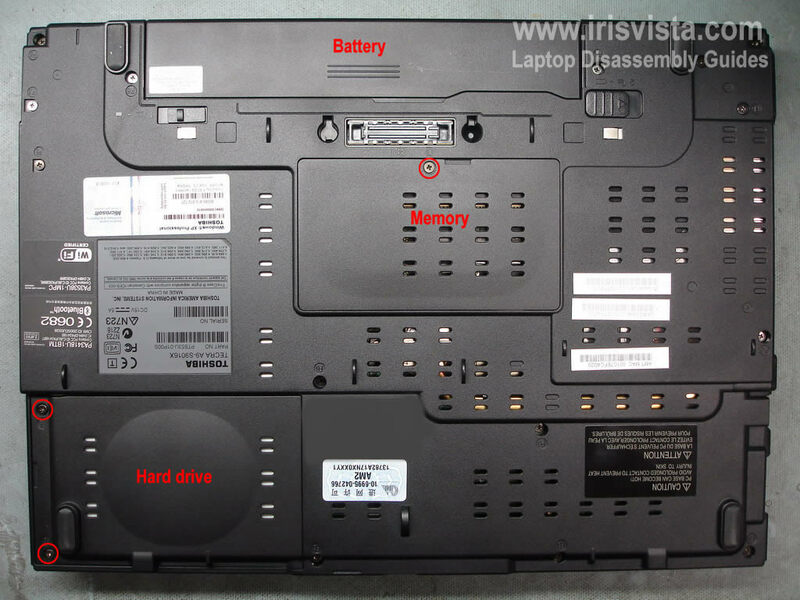 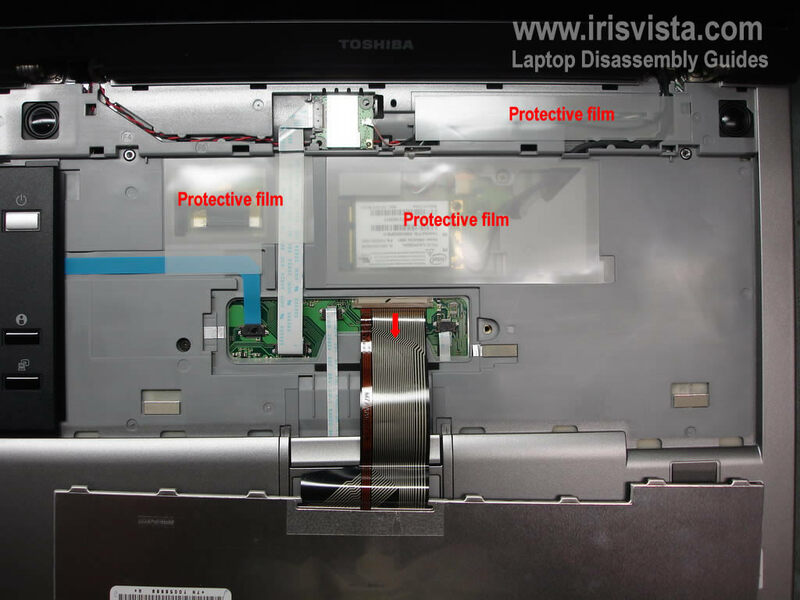 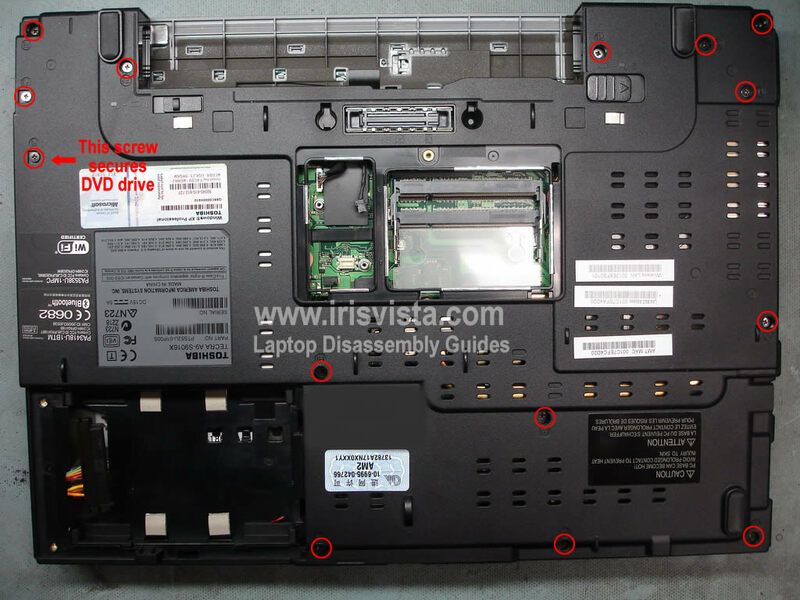 One screw is located on the bottom of the laptop and shown in the step 3. 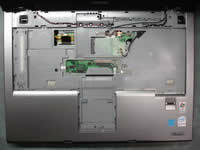 The second screw is located under the keyboard and shown in the stwp 13. 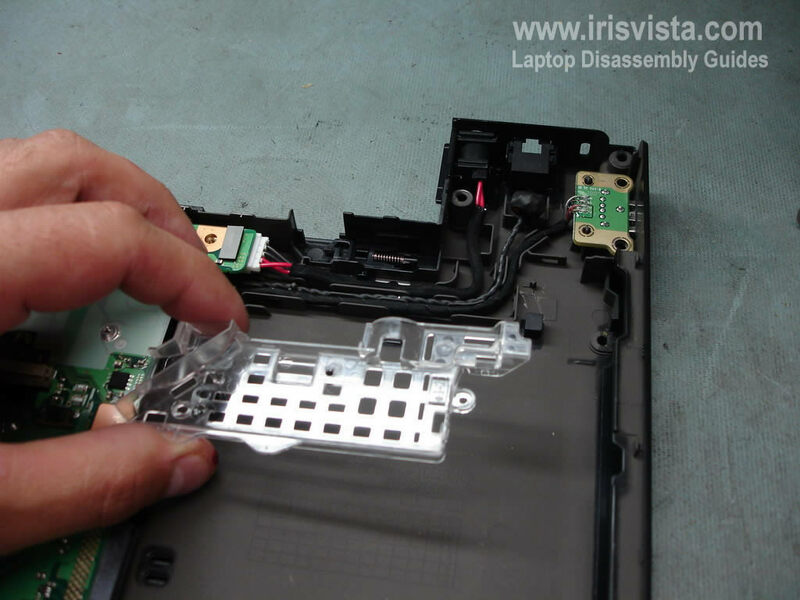 Start removing the top cover assembly with the display. 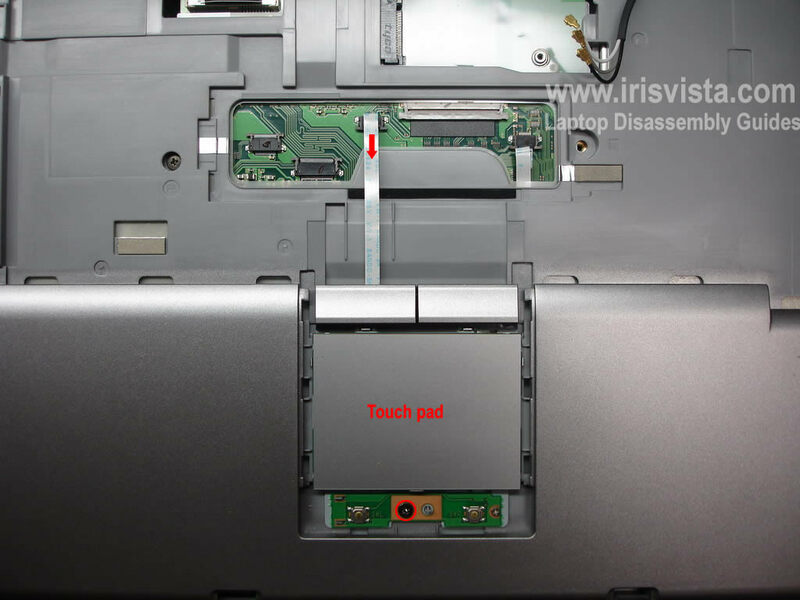 The display is still attached to the top cover. 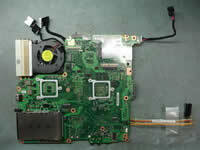 Unplug cable from the VGA board. Lift up and release the RJ45 jack. 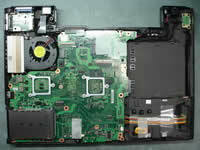 Lift up and release the power jack. 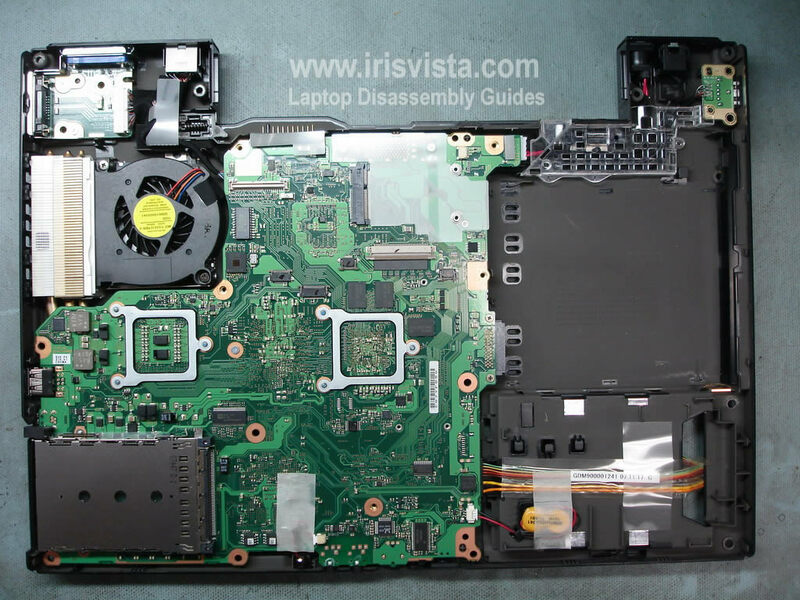 Disconnect the CRT battery from the motherboard. 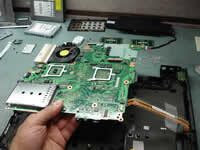 Carefully lift up and remove the motherboard. The base assembly without motherboard. Disconnect the power jack cable. Disconnect the VGA board cable. Lift up and remove the cooling fan with the heatsink. 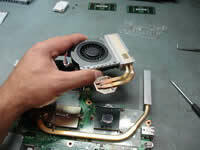 Remove four screw securing the VGA chip heatsink. 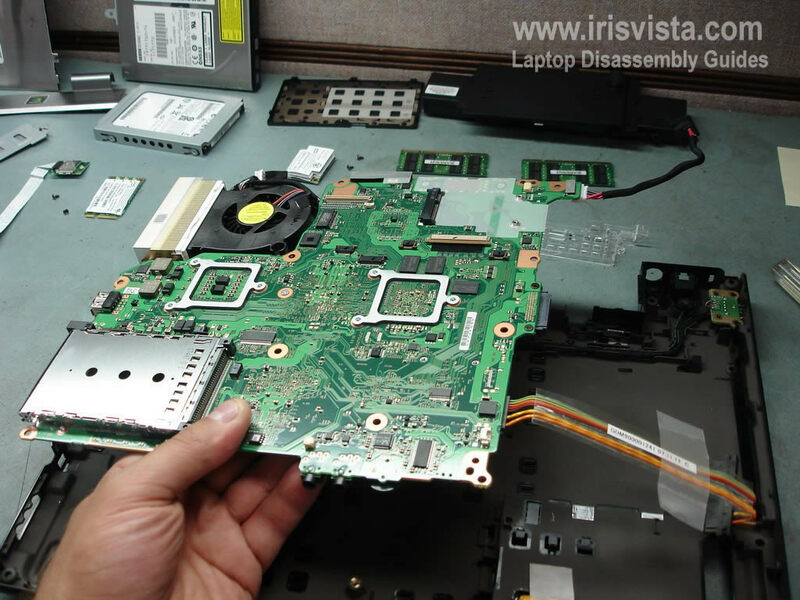 Lift up and remove the CPU.